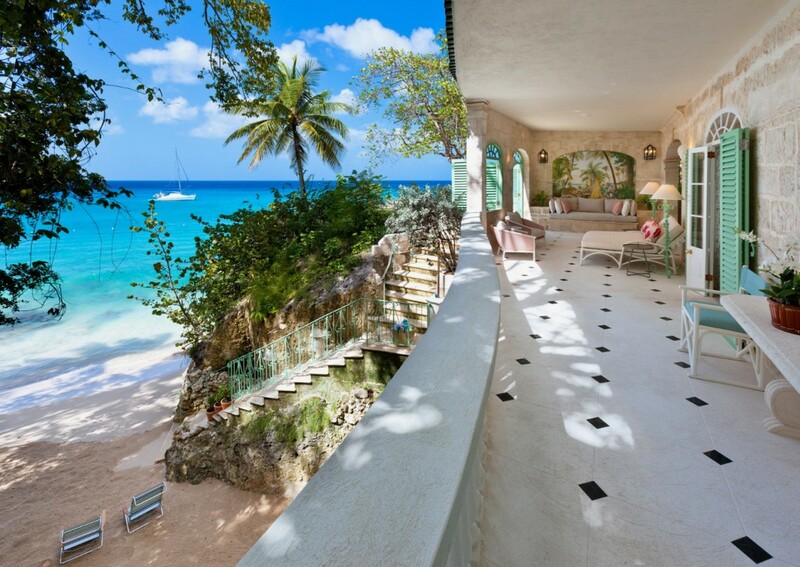 Villa Crystal Springs Barbados. 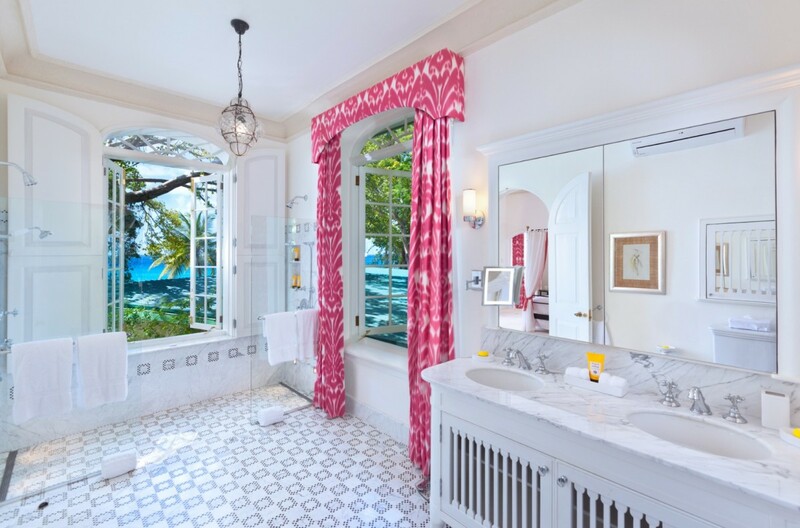 The Villa Crystal Springs in Barbados is a recently restored masterpiece of island design and décor, and it provides visitors with one of the most coveted settings imaginable. 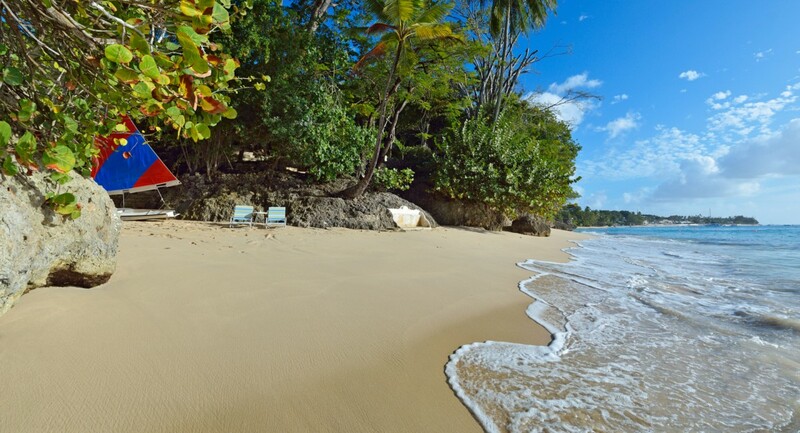 Tucked along the sea in the St. James region, it offers private access to a fully furnished beach where your own little boat awaits. 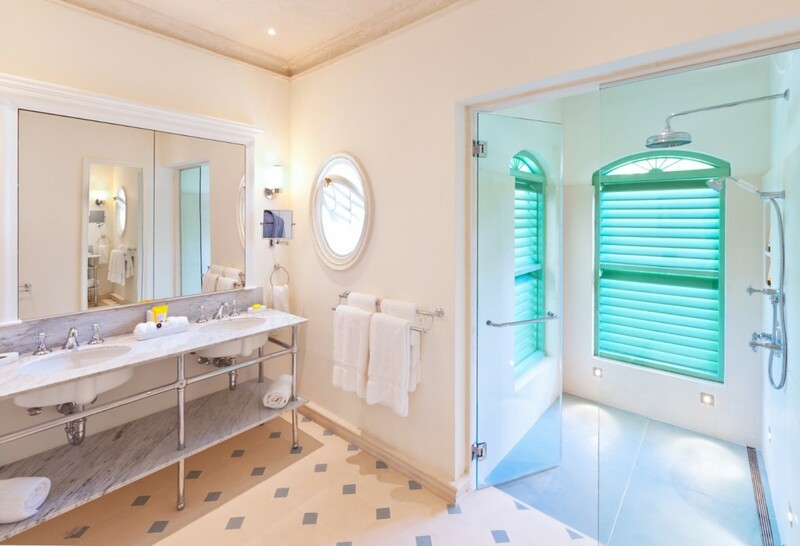 A stretch of golden sands to call your own is an unforgettable luxury, but that is just the beginning where this ten-bedroom gem is concerned. 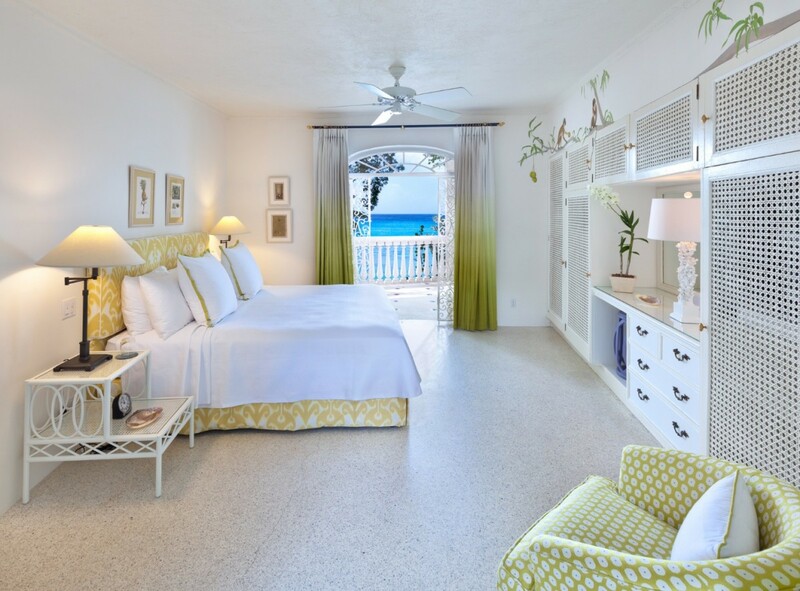 As you walk back from the beach, you enjoy beautifully landscaped grounds, stone steps and terraces and outdoor spaces designed for hours of leisure. 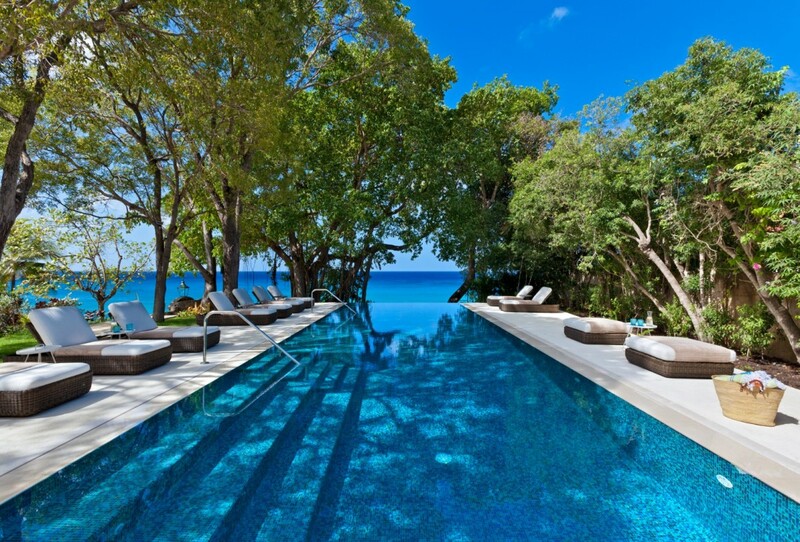 The infinity edge pool is a delight as it rests in a tunnel of lovely native trees and offers areas of sun and shade to relax. 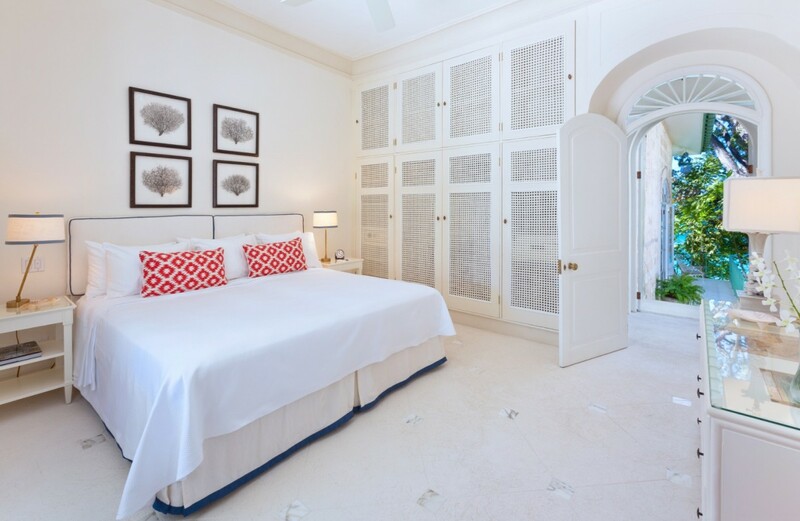 Furnished with oversized beds and capped with a pool house, it will be a favorite destination. However, so will the many shared living spaces such as the stone terraces for al fresco dining, the gazebo, the verandah and the open-air lounges. The interiors flawlessly capture the sense of light and air thanks to a mostly white palette, and you will find yourself repeatedly drawn to the living rooms, lounges, and even the enormous gourmet kitchen. 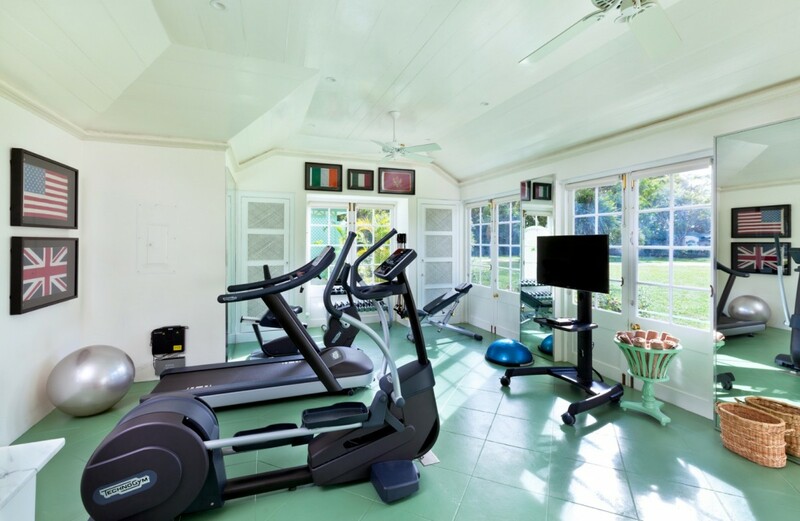 With a butler, cook and household staff, though, you may find no need to spend time worrying about meals or drinks and can focus on enjoying the fitness room, home theater, gardens, grounds, and water sports. 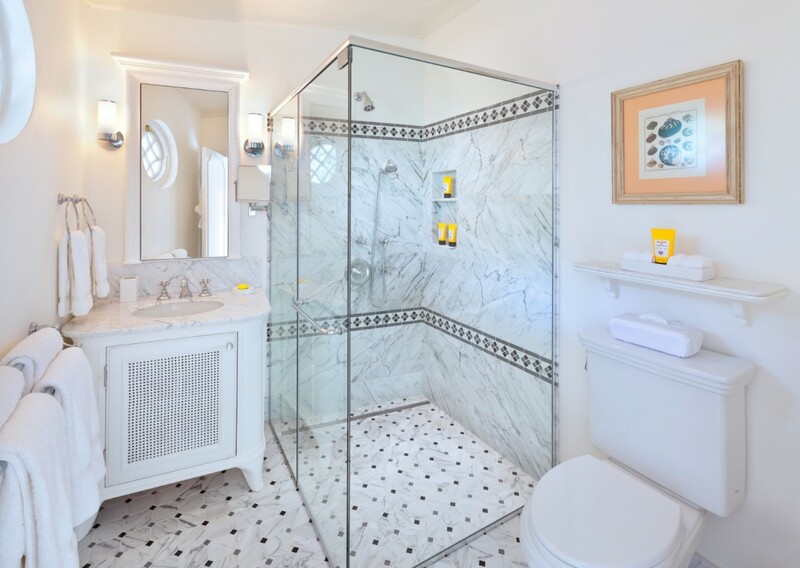 The ten bedrooms are spread out for optimal privacy and feature king beds and large private baths. There are two bedrooms in a separate pavilion and eight in the main house. 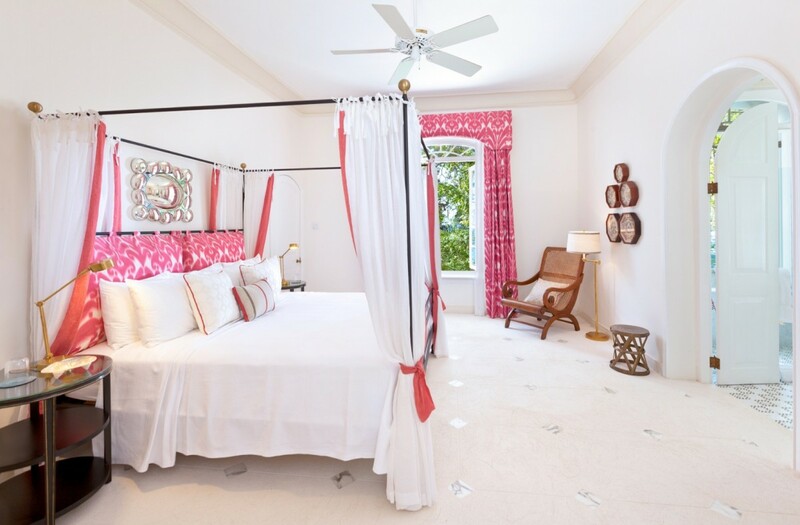 Most open to a terrace or garden, and the master suite features a kitchenette and sitting room. 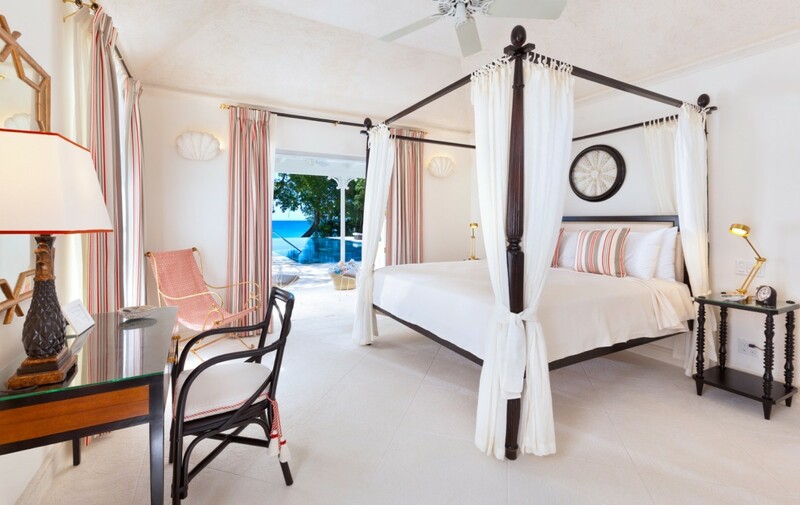 The Villa Crystal Springs is that rare and magical blend of luxury, comfort, warmth and welcome. It is a place to recharge and relax and will feel like home the moment you arrive. Bedroom 1: Master bedroom with a king-size bed, A/C, ceiling fan, walk-in closet and en-suite bathroom with shower, bidet, double vanity and WC. 2 guests maximum. Bedroom 2 (Sea Fan): Bedroom with two single beds (can be made up as a king-size bed), A/C, ceiling fan and en-suite bathroom with shower, vanity and WC. 2 guests maximum. Bedroom 3 (Guava): Bedroom with two single beds (can be made up as a king-size bed), A/C, ceiling fan and en-suite bathroom with shower, vanity and WC. 2 guests maximum. 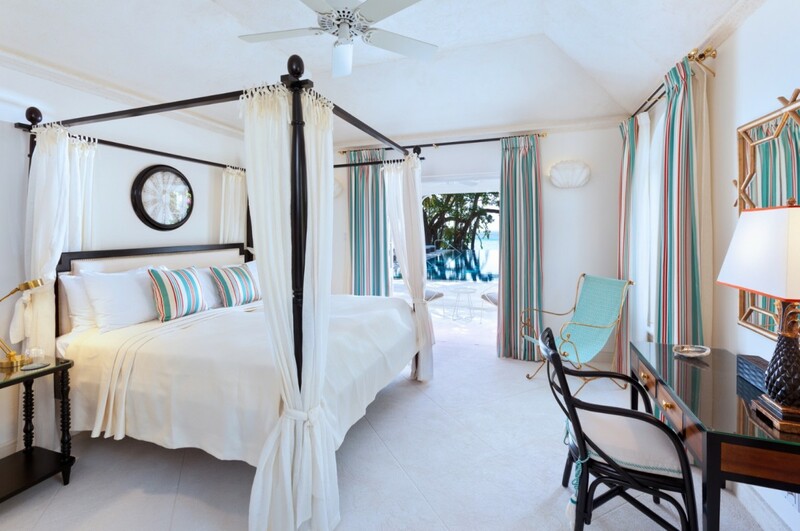 Bedroom 4 (Hummingbird): Bedroom with two single beds (can be made up as a king-size bed), A/C, ceiling fan, access to terrace with sea view and en-suite bathroom with shower, vanity and WC. 2 guests maximum. 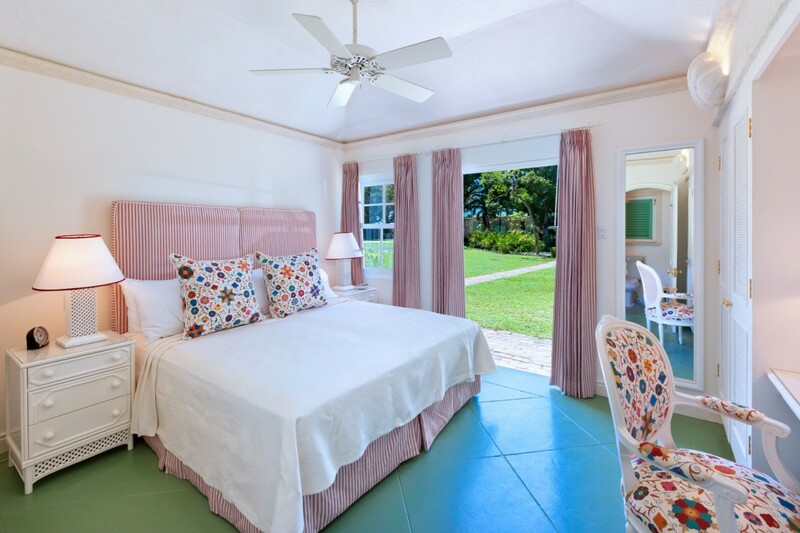 Bedroom 5 (Green Monkey): Bedroom with a king-size bed, A/C, ceiling fan, sea view and en-suite bathroom with shower, vanity and WC. 2 guests maximum. 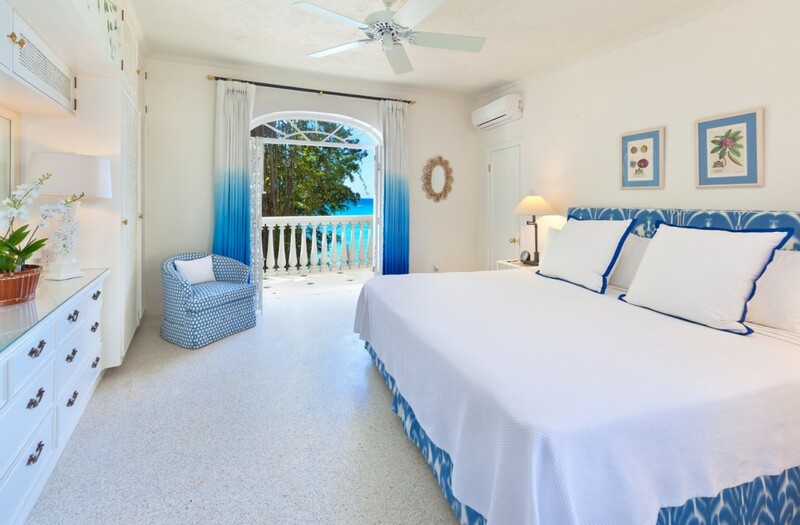 Bedroom 6 (Sunset South): Bedroom with a king-size bed, A/C, ceiling fan, walk-in closet, access to pool terrace with sea view and en-suite bathroom with shower, double vanity and WC. 2 guests maximum. 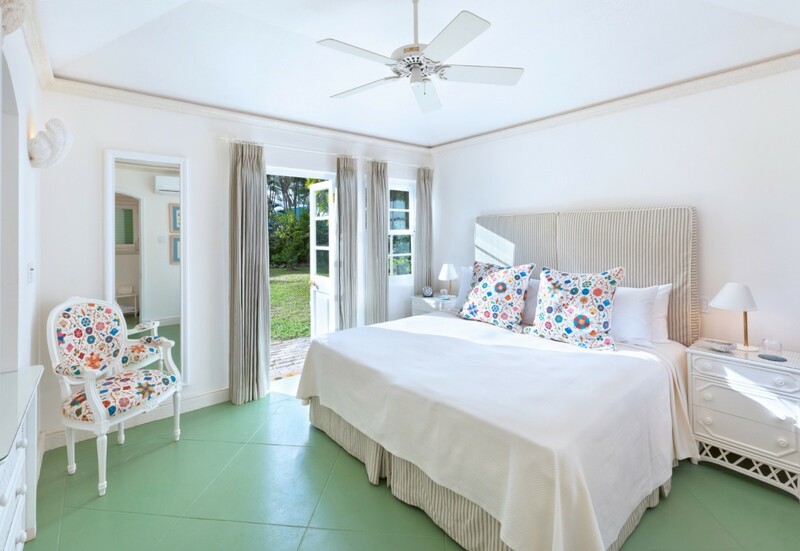 Bedroom 7 (Sunset North): Bedroom with two single beds (can be made up as a king-size bed), A/C, ceiling fan, walk-in closet, access to pool terrace with sea view and en-suite bathroom with shower, double vanity and WC. 2 guests maximum. Bedroom 8: Bedroom with a king-size bed, sitting room with two single beds, A/C, ceiling fan and en-suite bathroom with shower, vanity and WC. 2 guests maximum. Bedroom 9 (Pavilion South): Bedroom with two single beds (can be made up as a king-size bed), A/C, ceiling fan and en-suite bathroom with shower, vanity and WC. 2 guests maximum. Bedroom 10 (Pavilion North): Bedroom with two single beds (can be made up as a king-size bed), A/C, ceiling fan and en-suite bathroom with shower, vanity and WC. 2 guests maximum. 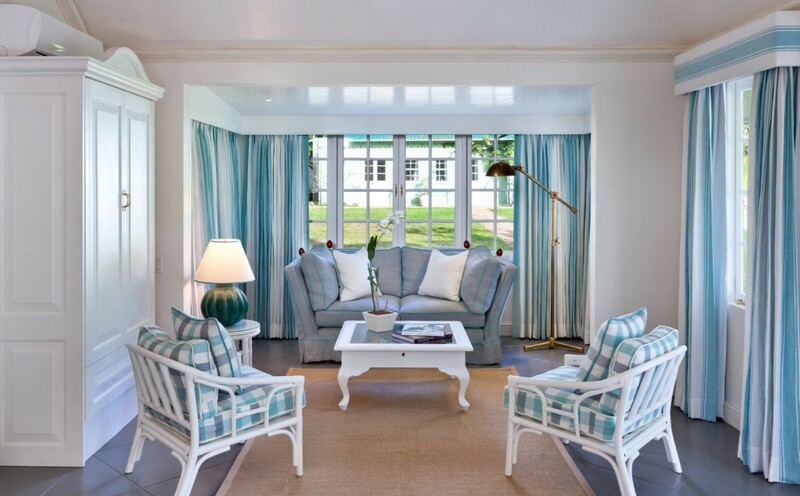 We stayed at Crystal Springs as a group of 14 for my father in laws birthday, we had done much research prior to our booking but Crystal Springs captured our hearts at first glance just by the pictures and the fact that the grounds were spread out. I can not provide enough justice in words to the villa of how special it is. Upon the opening of the gates at arrival the beautiful scenes that greeted us as we descended down the driveway were breathtaking, and Amanda and all of the staff waiting out front to greet us I knew within them very few seconds this was the start of a very special week. The villa has 10 bedrooms we hired rooms 1-7 of these which includes the pool house each room had its own beautiful character and were immaculate. The villa in itself is beautiful and I am still pinching myself that we were fortunate enough to stay in this place of paradise. Lots of places to sit and relax and communal areas for you all to dine and socialise. Considering there was 14 of us we did not feel like we were on top of each other during our stay. 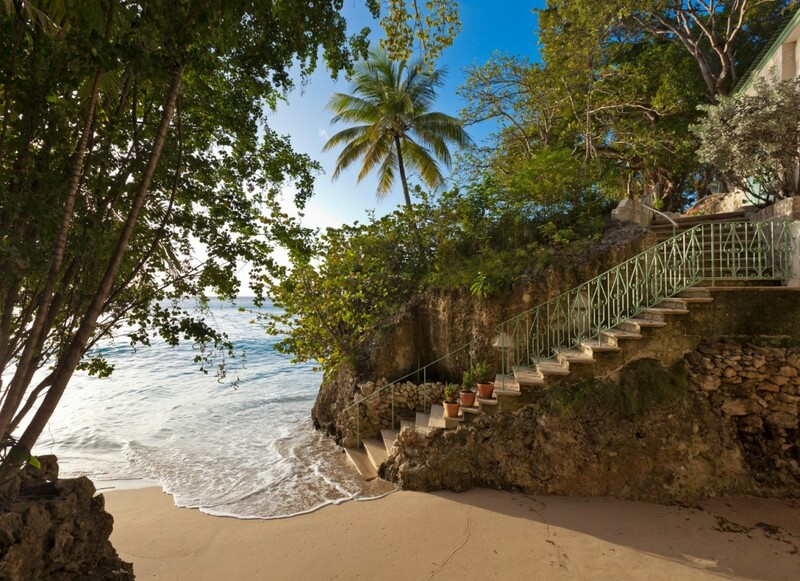 The private beach is beautiful and I thoroughly enjoyed sitting down there looking out at the picturesque scenery. The infinity pool is perfect with beds all round and great views out to sea. There is a boat for use within the villa which we used for water sports and Trevor took great care of us. The grounds are beautiful and well kept. There is Laundry service within the villa and I know for next time I certainly do not need to overpack. Cinema and gym also within the grounds you honestly could not ask for anymore. I would like to say Thankyou to Marlon and Keith for the fun filled laughs and for providing us with the untold amounts of rum punch, you really could not have done no more for us and we thank you! All of the staff were very friendly and attentive to our every need, it really was a joy seeing them each day. Crystal springs has spoilt us as we will never receive the personal service and beautiful settings staying in anywhere else. Thank you to all of the staff for such a memorable holiday your hard work and attention to detail certainly made our stay pleasurable and memories that will be with us for a life time. A special thank you to Amanda for all your help during our stay especially with our surprises for the birthday man. Lastly to the owners Thankyou from the bottom of our hearts for allowing us to stay in your beautiful home, everything from the grounds, to the decor and the staff are pure perfection and we could not have asked for anything more. We will definitely be returning in the near future and can not recommend enough! Wow, what can I say about Crystal Springs other than it is absolutely perfect. From the moment we pulled up to the front of the stunning property, to touring the Messel designed interiors, I was totally blown away. 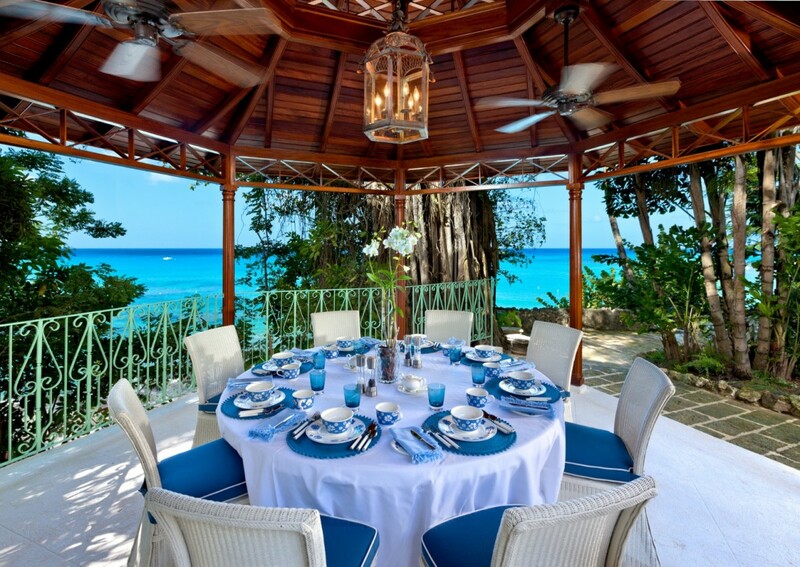 The exterior is incredible, with stunning views of the blue sea all along the front which you can enjoy in all three main dining areas. 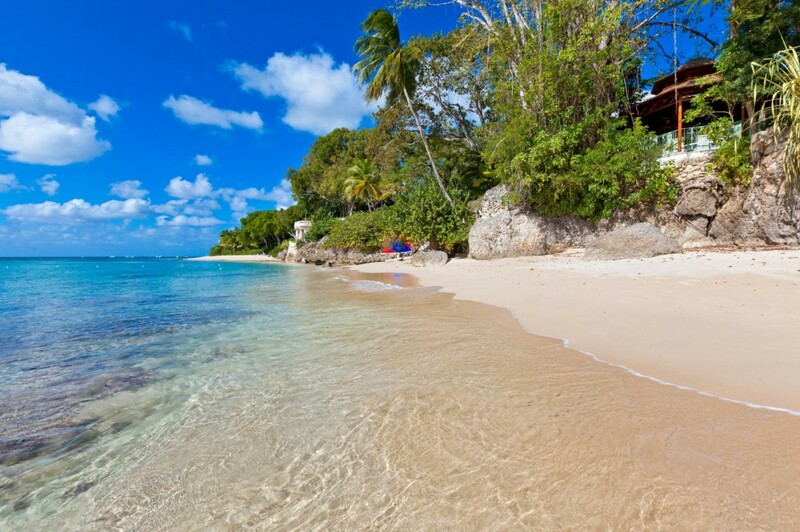 I love the gully full of flowers, perfect for sauntering down to the beach - where you can relax or enjoy water sports, paddle boarding and the speed boat. The infinity pool is the perfect temperature and ideal for a lazy few hours between snorkelling with turtles and exploring the island. 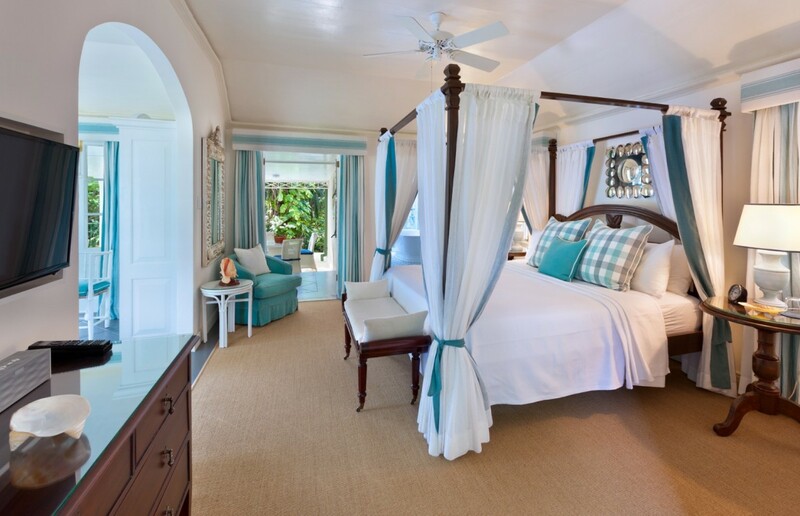 Each room is gorgeous, with very comfortable beds and all the top amenities you could need. But perhaps the best thing about this incredible property is the amazing staff who go out of their way to make your stay such a special one. There's a very relaxed, happy atmosphere and you're made to feel at home from the second you arrive. Thank you all for such a special stay full of memories that I'll always treasure. From the moment we arrived you get the feeling of paradise , the welcome from all the fantastic staff ,stunning villa ,unbelievable views . Lazy days around the pool , ice cold drinks, wander down to the beach, swimming,water skiing this place is amazing . Everyone is so friendly and cannot do enough for you, Everything at Crystal Springs is 5* + . We would all love to return one day. As soon as you enter Crystal Springs you realise it is a very special place. 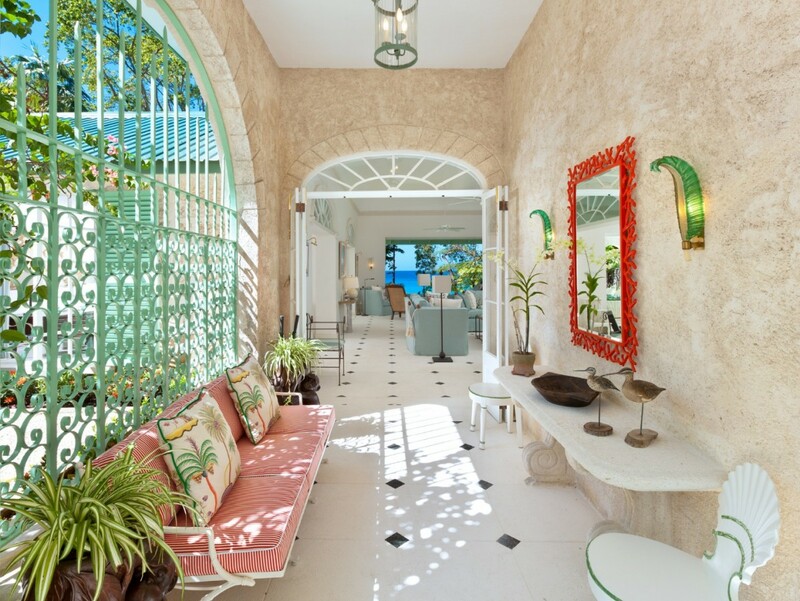 A beautiful and elegant house in a luscious well tended tropical garden. 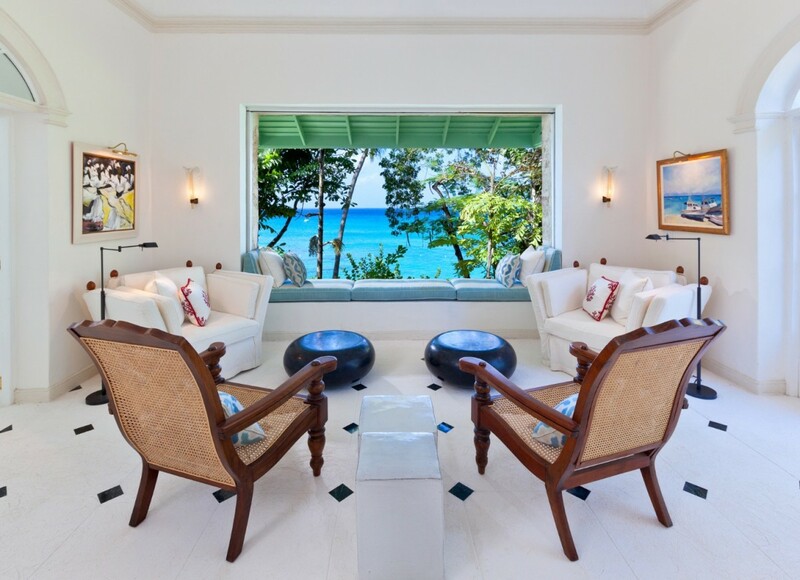 The villa is decorated at the highest standards of taste and elegance and the main room's large open window overlooking the private beach and the turquoise blue sea is the setting of dreams. At Crystal Springs the days go by nonchalantly. 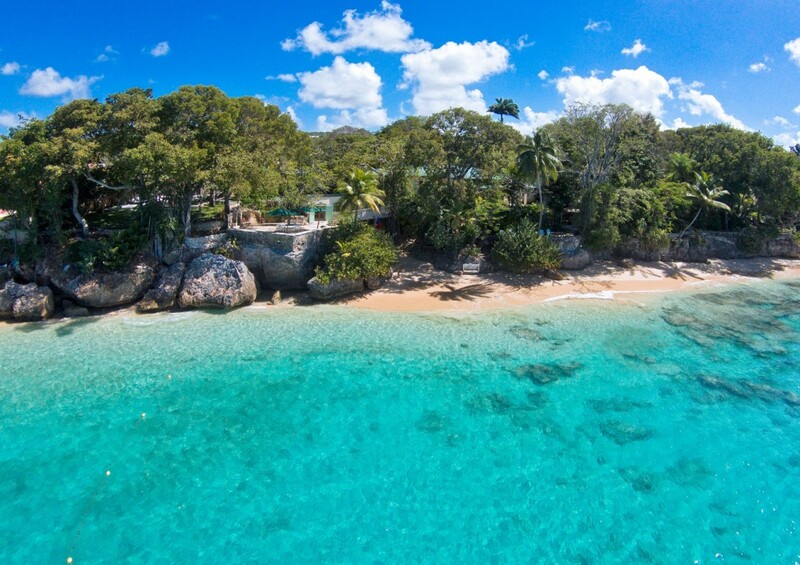 There are so many things to do: swim at the secluded beach, paddle boarding, waterskiing or taking the boat to tour the lovely adjoining bays, for a bit of snorkeling. 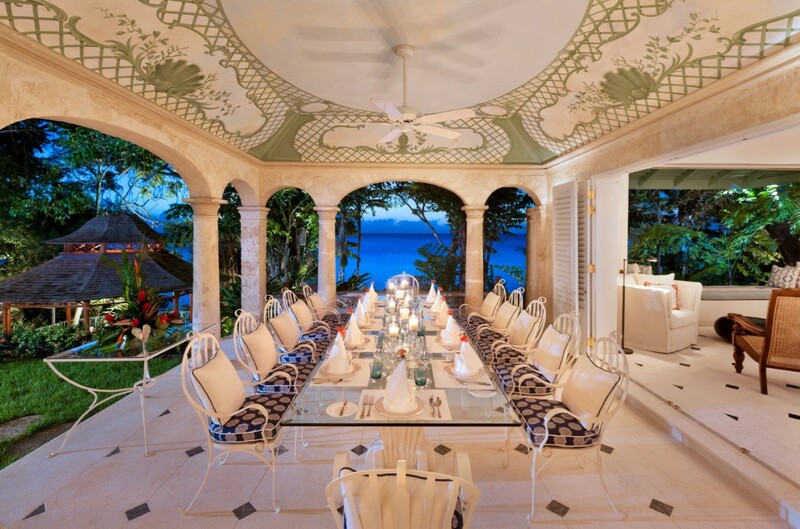 There are several dining areas so you can have lunch/dinner in a different setting every day. If you are looking for total relaxation just lounge by the infinity pool overlooking the magnificent tropical sea, maybe after having done some yoga with a private teacher. The staff are outstanding and looked after us incredibly well, discreet yet always present.and friendly. Perfect is an often misused word but in the case of Crystal Springs I cannot thing of a better one: It's perfect! 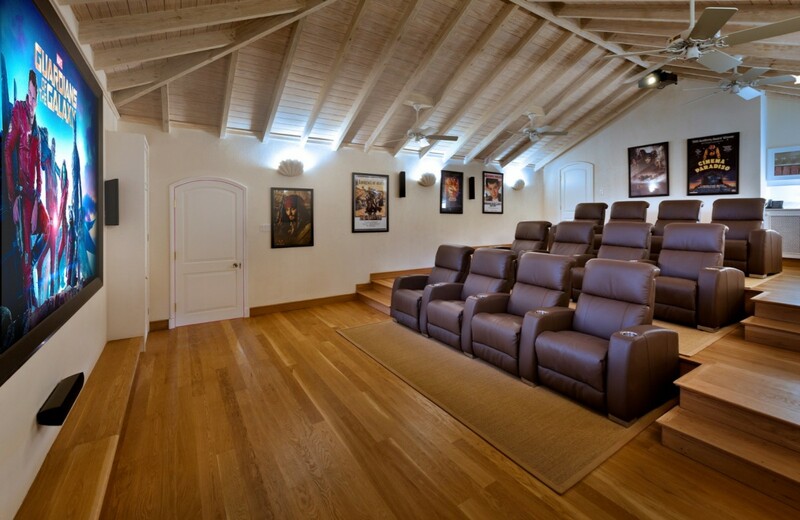 The property has several locations for indoor and outdoor dining and just when you thought it couldn't get any better, it is possible to watch almost any movie in the home theatre. Crystal Springs is a magical place for a perfect vacation..family reunion, gathering of friends, retreat. The staff is first rate, friendly and genuinely interested in serving. From the moment you set foot on the grounds, every need is attended to. 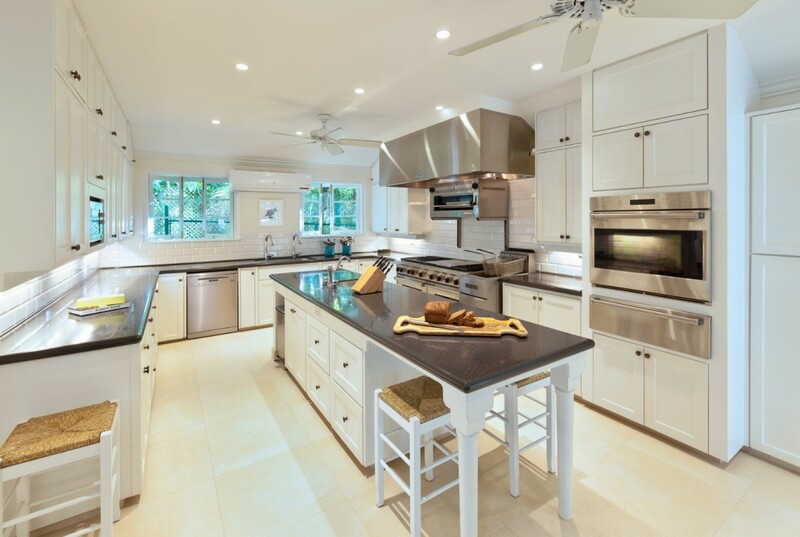 The décor of the house and its multiple building is exquisite and in harmony with the relaxed atmosphere of an island home. How to spend each day? Swimming in the ocean, lying by the infinity pool reading a book, paddle boarding, yoga, exercising in the gym. Activity is required as the meals are delicious and well, it is hard to resist temptation! Exploring the island is recommended as the Atlantic side is wild and beautiful. There are beautiful gardens and many distilleries. No luxury resort or luxury villa I ever went to compares to Crystal Springs! 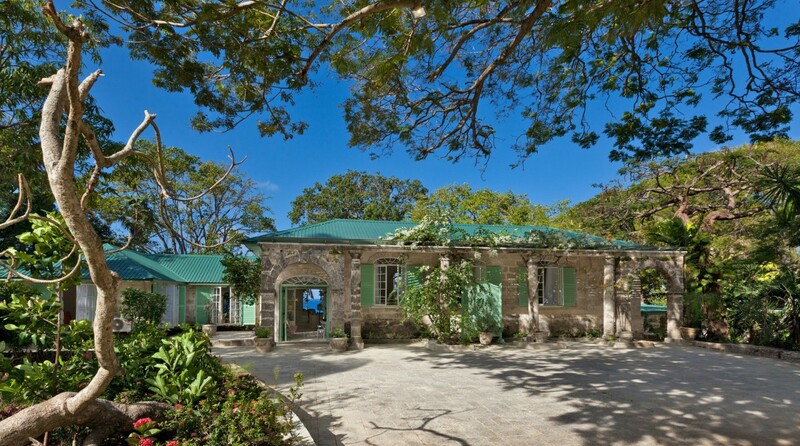 The beautiful architecture and stylish design of the property are blending with the lush tropical vegetation and landscape which gives you a feeling of being one with nature...not to mention the most amazing nocturne concerts of the crickets and mini frogs accompanying your dinners, meditations and sleep! 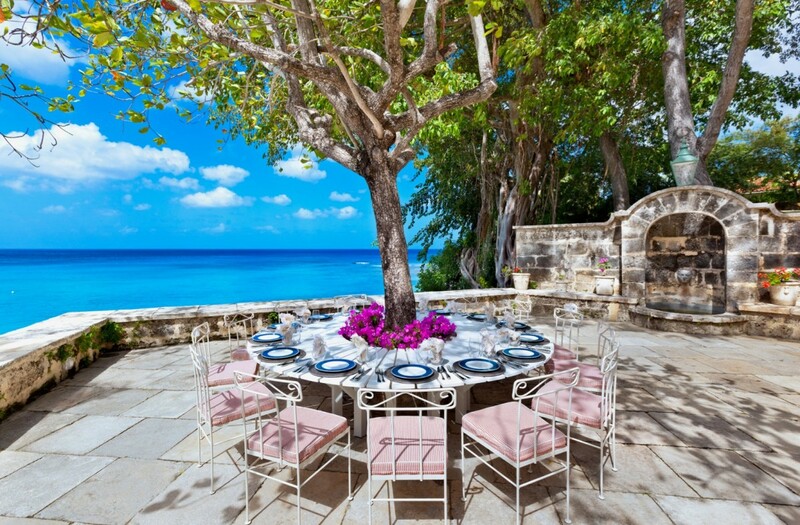 The property location with its private beach makes it very special and unique on the carabean side of Barbados...definitely the most beautiful property on the Island! 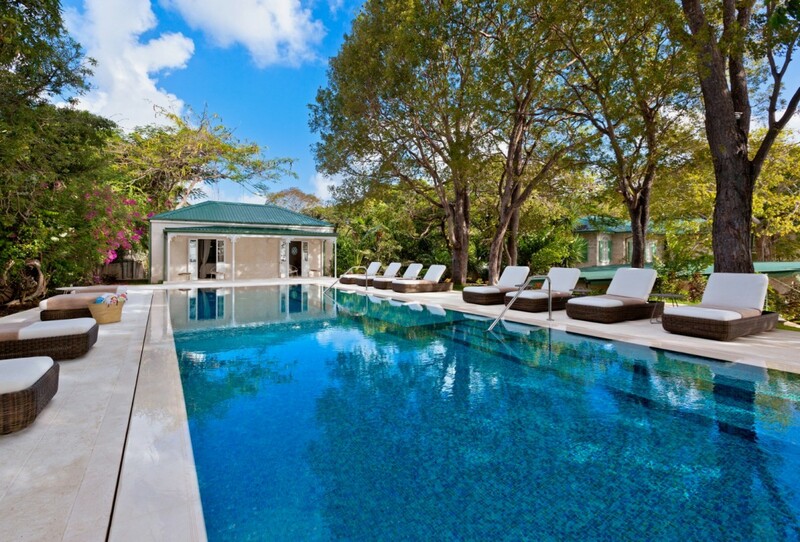 The elegant mosaic lap pool is situated on a side of the property overlooking the sea but not interfering with the beach. I was looking for a "real vacation" with plenty of water activities coupled with relaxation, work outs, yoga, massage and good healthy food, no TVs in the bedrooms but a movie theater just in case and it was a dream come true! Staffed with 18 kind and smily people who you barely see around but feel the impact of their excellent service...everything runs so smoothly you think it happens on its own. 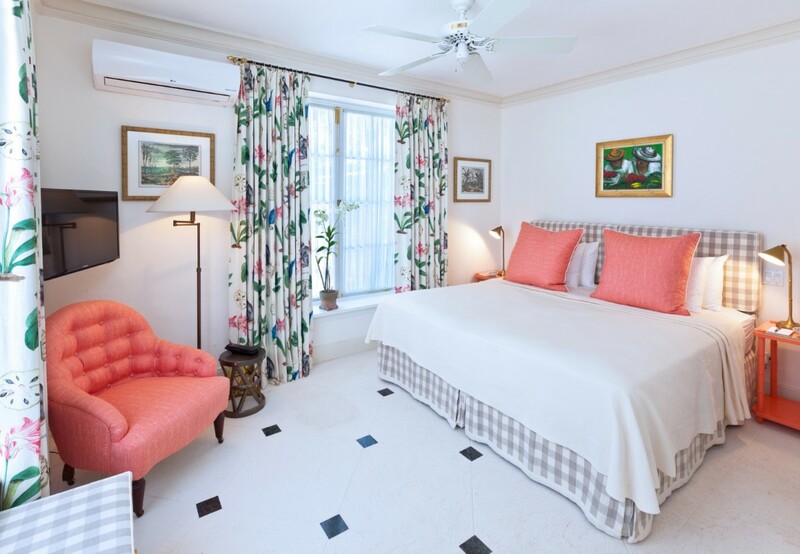 To me the best overall experience was to feel very much at home where you can just wear a short and t-shirt or a bathing suit all day long without offending the coziness and elegance of the rooms, living room, multiple dining rooms and especially impeccable decorated bedrooms and well equipped bathrooms. The other special aspect of the experience is the distribution of the bedrooms which makes you feel you are alone in the property if you need privacy despite the fact we were 10 of us!